SOLO is the fourth generation of Electronic Target System designed and manufactured by Silver Mountain Targets, the world leader in open sensor target systems. SOLO is an electronic target that reports shot position and value to a shooter who can be 1000 yards away. At US$850 it is priced low enough for personal use but is also capable enough to be used to run small and mid-sized matches, and to be used in large multi-target systems. SOLO sensors attach to your targetry and acoustically detect an incoming supersonic bullet. A wireless link connects to display devices on the firing line. SOLO is easy to setup and eliminates multiple trips to the target for refacing, pasting holes, or checking group sizes. Have an answer you’d like to contribute? An improvement to one of these answers? Again, please email us! SOLO sells for US $850, worldwide. Canada – charged in CAD, plus the GST/HST rate for your province. If you live in a country not served by an SMT-SOLO dealer, you may order from any dealer or you may order directly from Silver Mountain Targets. ​​WHEN CAN I GET IT? Orders for SOLO open May 25. ​​MY RANGE HAS NO WIFI OR CELLPHONE COVERAGE, WILL MY SOLO WORK? Yes. SOLO produces its own wifi network. No internet connection is needed, no cellphone coverage is needed, and no pre-existing wifi system is needed. A FRIEND ALSO HAS A SOLO. CAN WE USE BOTH AT THE SAME TIME? Yes. The wifi network produced by each SOLO is unique. His won’t interfere with yours and yours won’t interfere with his. To use yours, connect to your network SOLO-1234. To use his, connect to his network SOLO-5678. 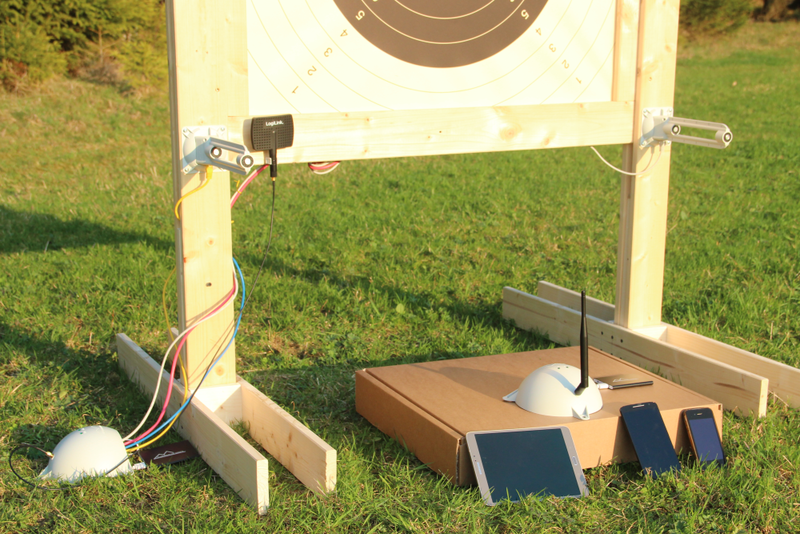 Your SOLO device at the targetline end of the range is programmed to connect to your network, so your shots on your target get delivered to your network.. I AM GOING TO USE MY SOLO AT A PUBLIC RANGE. CAN OTHERS ACCESS MY SOLO? That’s up to you. No-one can use your SOLO unless you let them. Your SOLO‘s network is password-protected (the network name and password are printed on the product label attached to the backplate on the underside). The password is permanent and cannot be changed. To share SOLO with a trusted friend(s), tell them your wifi password. Others at the public range won’t be able to access your SOLO. wifi SOLO-1234-Guest – the guest network. No password, anyone can connect. You may turn this off. SOME OF MY CLUB MEMBERS ALSO HAVE SOLO. CAN WE RUN A SMALL MATCH? Yes. Set up each SOLO on a target of its own. Have the shooters and scorekeepers connect the the SOLO​ they are interested in using/watching. This is a great way to run a small or informal match, or a small practice or training session, where the sophisticated features of an S25 Server are not needed. MY CLUB ALREADY OWNS AN SMT SYSTEM WITH AN S25 SERVER. WILL SOLO WORK? As-shipped, SOLO will work in its own standalone mode, without interfering with the operation of others SMT e-target equipment. HOW IS SOLO POWERED AND HOW LONG DOES SOLO RUN? Each of the two SOLO electronics units is powered by a standard rechargeable 5V USB power pack, equipped with an LED bar graph to indicate charge status. They may be charged from any USB port with a microUSB cable. You may use any 5V USB power pack, so it’s easy to replace, or have a spare on hand, or you can use as large a battery pack as you want for as long a runtime as you might want. WHY DOES SOLO HAVE AN EXTERNAL BATTERY PACK? Most of the parts in SOLO are designed to have an indefinitely long lifetime. Where this is not possible it is important that repair or replacement be possible, and cheap. The only two items in SOLO that will eventually wear out are the cables, from repeated flexing and use, and the batteries, from repeated charge/discharge cycles. An internal battery would be more expensive to replace; only the correct size and shape battery could be used, and the units would have to be opened by a competent technician (unless care is taken, the sensitive internal electronics could be damaged). 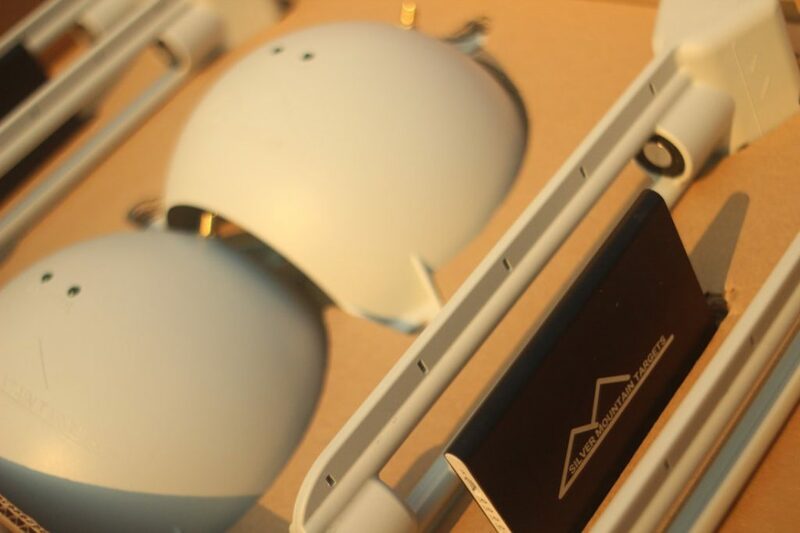 An internal battery would also not allow larger battery capacities to be possible, or for “hot spares” of extra fully charged battery packs to be used. An external battery pack and a microUSB power interface plug gives the SOLO owner full flexibility and control. HOW DO I SEE MY SHOTS? DO I NEED AN APP? You need to provide a “display device”. Anything with wifi and a modern browser should work, such as a cellphone, tablet, laptop etc. No app is needed, just your device’s browser. Apple iPhones and iPads work well, as do most Android phones and tablets. WHAT TARGET FACES DOES SOLO SUPPORT? SOLO comes pre-loaded with many of the world’s most common highpower (sling and F-Class) target faces (US-NRA, ICFRA/Australia/NZ, DCRA/Canada, NRA-UK, ISSF-300m, etc). More target faces are available on the SMT website for free download. WHAT IF I SHOOT REALLY QUICKLY – WILL SOLO MISS MY SHOTS? SOLO​ is capable of detecting and measuring sustained fully automatic fire. WHAT IF I SHOOT SOLO? Some parts of SOLO can be placed out of harm’s way, for example the cables are long enough so that the downrange electronics unit can be placed below grade if shooting on a conventional range with a target gallery, or otherwise placed in a protected location out of the line of fire. By far the most commonly shot item are sensor cables; you are trying to hit the middle of the target at a thousand yards and sooner or later the wind will drift your bullet left or right just the right amount to cut a cable. If one sensor cable is cut, SOLO will continue to operate. If two sensor cables are cut it will not be possible for SOLO to provide shot location readings. If you do a lot of long range shooting you might reasonably expect to cut one cable every shooting season. SOLO sensor cables are ordinary ethernet cables. The only special thing about SMT factory cables are the choices of color and lengths.. You may buy replacements from your SMT SOLO dealer or you can use your own favorite source for ethernet cables. It is also possible to shoot the panel antenna or its cable, or one of the sensors, however given their “corner” location on the target it is extremely rare for this to happen. They are available from your SMT SOLO dealer but to be honest if you buy them as spares to have on hand you’ll most likely never use them. I SHOOT IN MORE THAN ONE LOCATION. ARE EXTRA MOUNTING PLATE SETS AVAILABLE? 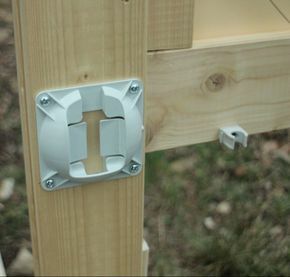 You can install a set of mounting plates on target frames in every location where you shoot; avoid taking a screwdriver with you to the range and save yourself the installation time! And their durable construction means they’ll survive pretty a rough life in a target shed, or they can be left outdoors year round in sun, rain, snow and ice due. They are a one piece injection molded part, made from UV proof material, completely unaffected by water, and have a tough low-profile design. HOW LARGE A TARGET FRAME CAN I USE? The sensor cables supplied with ​SOLO are long enough to allow for use on target frames up 6’x6′ in size. If you wish to mount the sensors on a larger target frame, up to 6’x10′, you may use longer cables. SOLO uses standard ethernet cables to attach its sensors. ​HOW FAR CAN I SHOOT ON SOLO? This depends on two things – your bullet, and your wifi. BULLETS: Your bullet must be supersonic at the target in order for SOLO to work. SOLO‘s sensors detect the shock wave produced by a supersonic bullet. if your bullet arrives slower than 1200fps / 365m/s SOLO will function but with reduced measurement accuracy. 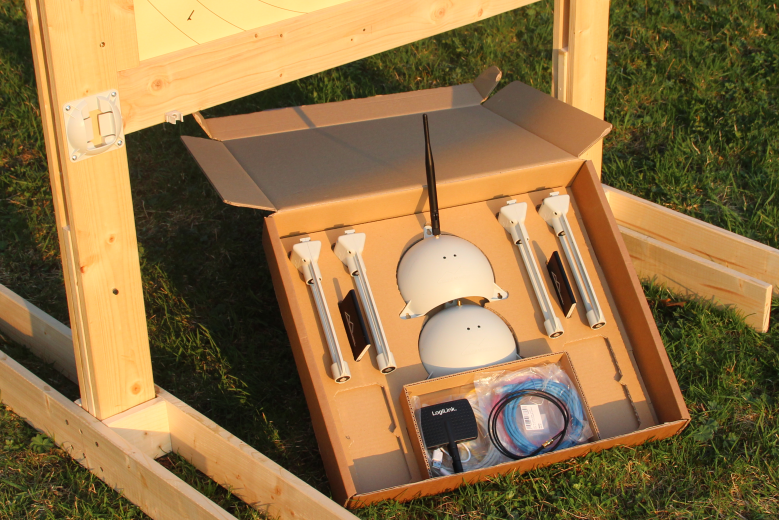 WIFI: The factory-supplied antennas will allow operation of SOLO to 1000 yards. Wifi signal conditions can vary at different ranges and you may be able to get more performance, for example at one of our test locations at we have achieved 1800 yards. If longer range is needed and the factory-supplied antennas do not provide reliable operation at the distance you are shooting, a higher gain panel antenna may be used at the firing line and/or target line end. 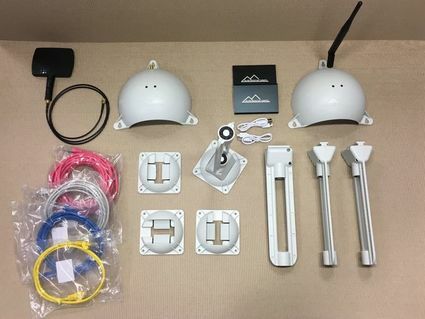 In keeping with SMT’s design philosophy of using industry standard commercially available parts where possible, the antennas in our system are wifi standard 2.4GHz, the connectors used are RP-SMA and the cabling is 50 ohm coax. HOW DO I MAINTAIN MY TARGET(S)? IS THERE A MEMBRANE TO REPLACE PERIODICALLY? 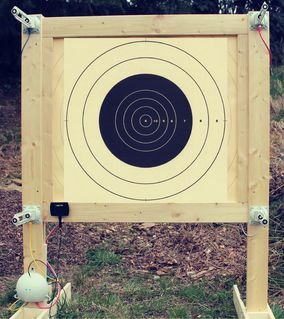 The purpose of the target face is to give the shooter a good sight picture, so all you have to do is keep it in good enough condition for that purpose. Paste on target repair centers as needed to maintain a sight picture that makes your shooters happy. You probably have to reface less frequently than when manually marking targets. Iron sight shooters can happily shoot on pretty shot-up target faces and still have an excellent sight picture, F-Class shooters or anybody using a high magnification scope generally need target faces to be kept in good enough repair so that they can see the various scoring lines and use them as hold-off or aiming reference points. Measurement accuracy depends on installation and environmental factors. In many typical range applications SOLO has a measurement accuracy of 4mm or better. With care and favourable conditions, even better (sub-millimetre!) accuracy can be achieved. “Waterproof” is an often used marketing term, conveniently without a precise technical definition. What most people would understand truly “waterproof” to mean might be described by a recognized technical specification such as “IP67” (protection against immersion to 1m depth). These protection levels are certainly achievable but only at great expense, neither affordable or justifiable for a $1000 system. SOLO is designed to achieve IP53 protection level (in shooting terms – driving rain in strong wind), which is appropriate for most rifle range applications. Carefully read the user instructions and install sensors in a stable, perpendicular and secure manner.